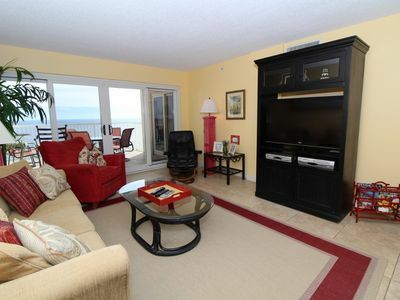 Sandy Key 816 - Newly Listed Beachfront Retreat + Amazing Views! 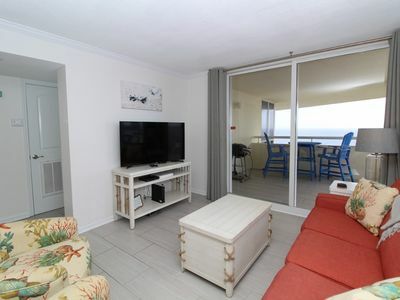 Exceed your own expectations and experience the vacation of your dreams when you stay in our beautiful 2 bedroom, 2 bath beachfront unit at Sandy Key! 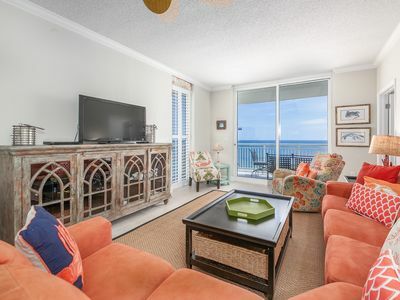 Situated upon the shimmering shores of the Gulf of Mexico in Perdido Key, Florida, this ideally located complex combines luxury, comfort and pristine natural beauty into one perfect vacation destination! 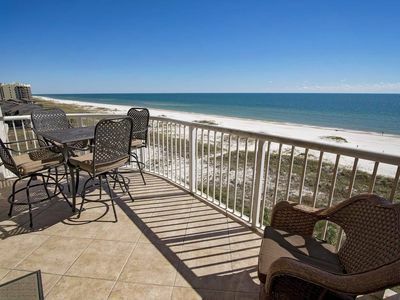 The sugar-white sands and emerald waters of the Florida Gulf Coast keep travelers coming back year after year. 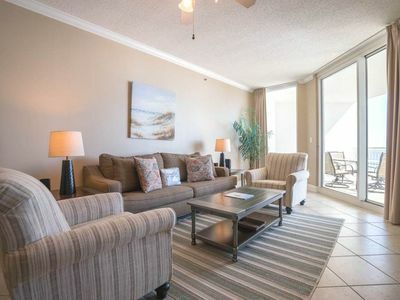 This spacious unit offers an open concept layout connecting the living area, dining area and kitchen into one relaxing space! 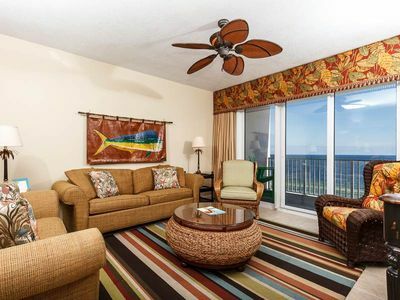 Boasting comfortable furnishings, updated appliances & electronics, and plush premium mattress sets, this unit offers all the comforts of home, plus all the exciting perks of vacationing directly beachfront. 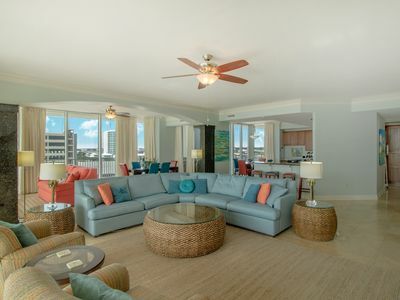 The living room offers plenty of seating, a large flat screen TV and most importantly, beachfront balcony access! 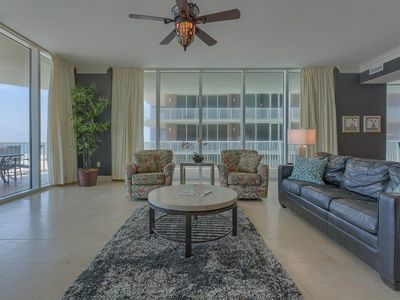 Enjoy your morning coffee or a glass of wine while lounging on your expansive balcony and overlooking the magnificent Gulf of Mexico. 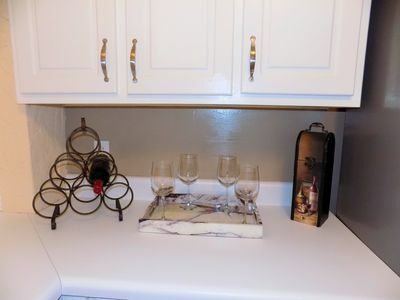 You’ll enjoy preparing your favorite meal in the gourmet kitchen featuring upgraded appliances,custom cabinetry with plenty of counter space, plus all the small appliances, utensils and dishware necessary to prepare and enjoy delicious meals! The dining area seats 4, with additional seating for 2 at the breakfast bar. 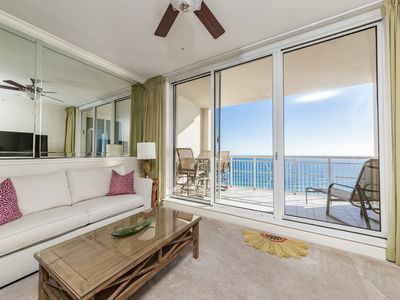 The elegantly appointed beachfront master suite will allow you to catch up on some much needed rest and relaxation, hosting a king bed with a premium mattress set, a large picture window with amazing views of the gulf, full ensuite bath and beachfront balcony access! The guest bedroom offers a queen bed with luxurious linens, deluxe bedding and an adjoining bath. 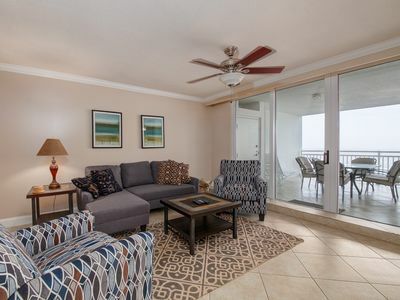 Sandy Key boasts an abundance of recreation and amenities, including two Gulf front pools (one seasonally heated,) outdoor hot tub, lighted tennis courts, state of the art fitness center and secure gated entry. 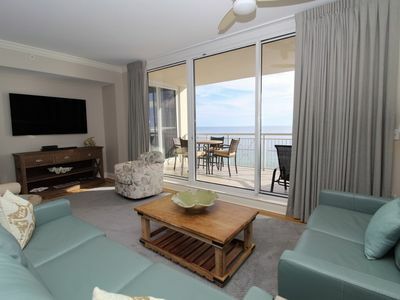 An immaculate stretch of private beachfront is easily accessible with two beach boardwalks. 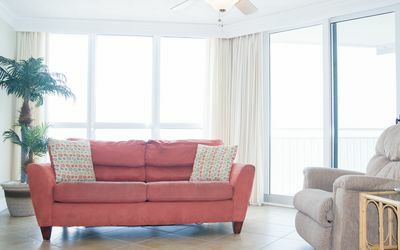 Avoid the inconvenience of carrying beach items up and down stairs or elevators with the unit’s exclusive personal storage area on the first floor. Enjoy the best seats in the house and indulge with a day of beach service, complete with two cushioned loungers and umbrella set up for a fee. Pristine manicured grounds are surrounded by lush foliage and palm trees, lending to the coastal and tropical atmosphere. 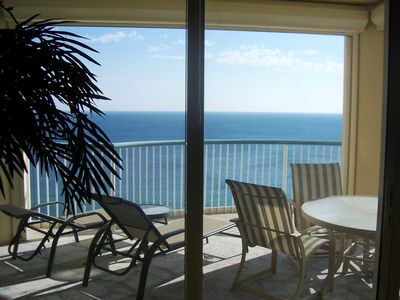 Cozy bench swings strewn along grassy knolls overlook the turquoise emerald waters of the Gulf of Mexico, providing the perfect spot for savoring your morning coffee or a glass of wine alone or with cherished friends and family. Grill the day’s fresh catch with one of two expansive barbeque grilling areas, complete with 4 grills. 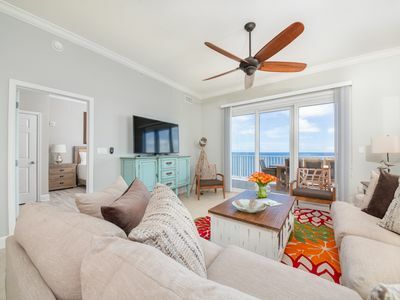 Located on the desirable east end of the island, Sandy Key is nestled upon one of the few remaining coastal destinations maintaining a quaint, secluded yet vivacious small-town atmosphere. 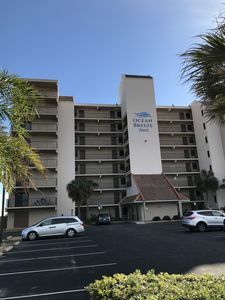 The resort is adjacent to the Gulf Islands National Seashore- a federally protected stretch of undeveloped coastline with tons of recreation available- from biking, hiking, swimming, camping, bird watching, or simply exploring the park’s natural beauty. 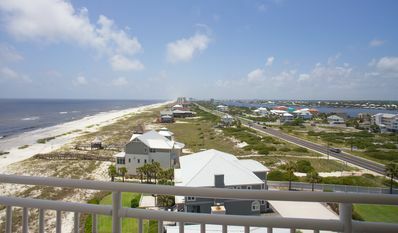 Ranked by Condé Nast Traveler as one of the top 5 swimming beaches in the US, Perdido Key is nestled amidst the pristine shores of Florida's Emerald Coast and is rapidly becoming a favorite destination for those looking to relax and enjoy the tranquility of coastal living without the congestion and commercialism found in other popular Florida beaches. The Key and surrounding areas offer an abundance of recreation and activities, including fantastic restaurants, championship golf courses, water sports and lovely shops and boutiques. 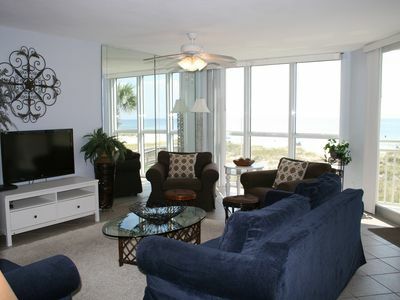 Palacio 1001 - Book your spring getaway! 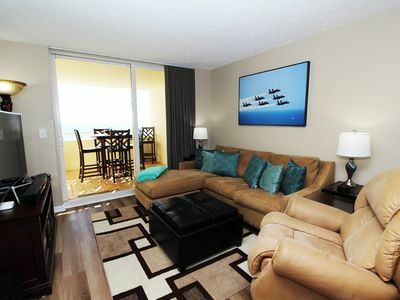 Indigo West 1104- Beach Front Unit with Luxurious Interior and Amenities! 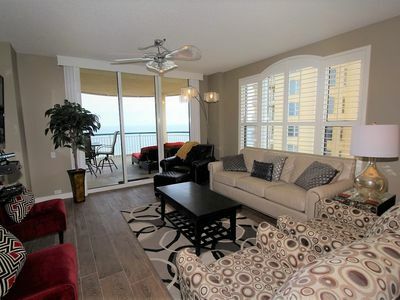 Great Gulf Front View - Newly Renovated!! Indigo E1203 - Book your spring getaway! Windemere 1508 - Don’t miss your spring vacation. Book now!